There are now “clear signs” the recovery in the property market is broadening out to benefit the industrial and retail sectors, according to a report from stockbroker Davy. The report noted that much of the attention has been on the “huge recoveries” in the office and residential sectors, but said prime industrial values have recovered over the last few years to around €150 per sq ft. 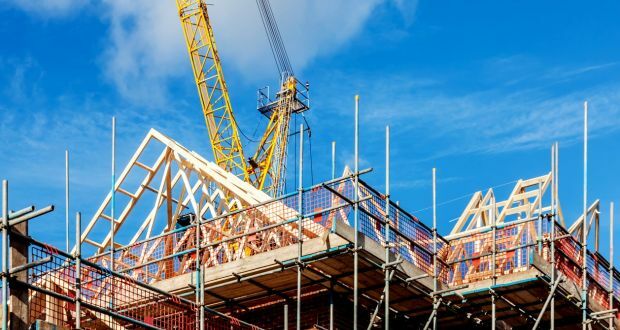 It said this was “well in excess” of the build cost, which is just over €120 per sq ft.
“This is finally stimulating an uptick in development activity having seen minimal new supply so far this cycle,” continued the report. Take-up in the industrial sector in both 2016 and 2017 was only around 2.6m per sq ft, which is almost 40 percent lower than in 2015, “reflecting a chronic shortage” of modern supply with high eaves heights. Real estate company Green Reit has four live developments at Horizon Logistics Park totaling more than 200,000 sq ft, two of which have already been let to Kuehne + Nagel and a luxury goods retailer. Rohan Holdings is also increasing developments at the nearby Dublin Airport Logistics Park and other parks around the M50 in Dublin. “Estate agents in Ireland are unanimously forecasting that the industrial sector will have the highest rent growth in Irish real estate in 2018,” said Davy. The Irish retailing division at Grafton Group, which is Woodies DIY, had 12.5 percent organic sales growth during the fourth quarter of 2017. Davy said this showed a “continued rate of acceleration” through the upcycle. Ikea is now exploring options on opening a new home furnishings outlet in South Dublin and possibly one in Cork. “Estate agents are all optimistic on retail rent growth prospects at retail parks in 2018, which includes Green Reit’s Westend retail park, despite share gains by online retail,” said Davy. Separately, the sale of Tallaght Square shopping centre for around €233 million was the largest real estate transaction in Ireland last year.